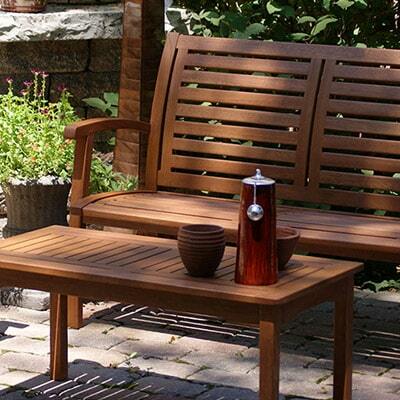 The Outdoor Interiors 3pc. Teak & Ash Grey Wicker Corner Sofa Set with Coffee Table includes a waterproof storage compartment inside the sofa and sectional chaise designed to store and protect all cushions & pillows when not in use. 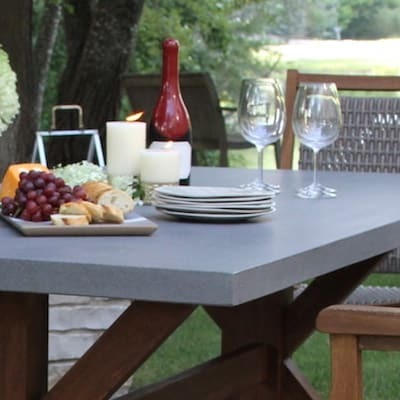 It’s the greatest solution for the biggest problem in outdoor furniture! 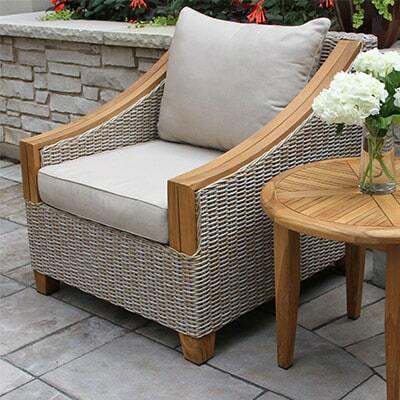 The Outdoor Interiors unique teak and wicker storage collection is crafted from the highest quality materials starting with all-Natural Plantation Grown Brazilian FSC Teak hardwood to withstand years of outdoor use in all climates. 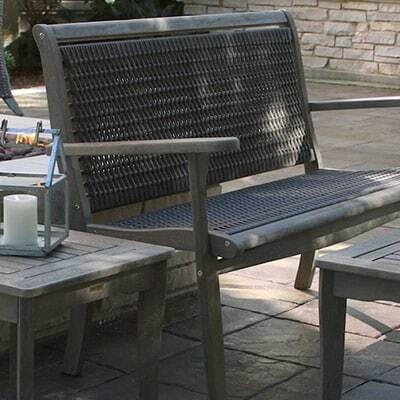 Our ash grey all-weather wicker set is woven around a powder coated aluminum frame for lasting outdoor use and durability. Our cushions and pillows (set includes 3 back pillows and 2 throw pillows) are made from performance Olefin fabrics. 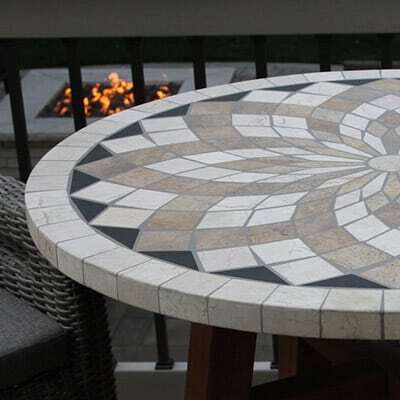 This set also includes adjustable feet risers under the units for uneven patios and decks as well as two connectors for securing both sections of the set together.